AUSTIN, Texas - State legislators stayed up well into the morning hearing emotional testimony about a proposed abortion ban. House Bill 896 would criminalize abortion and classify it as a homicide. Women who have abortions could be sentenced to the death penalty. 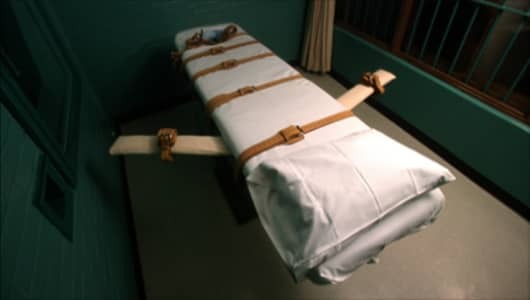 How essentially one is okay with subjecting a woman to the death penalty for the exact… to do to her the exact same thing that one is alleging that she is doing to a child,” said State Rep. Victoria Neave, a Democrat from Dallas. “I think it’s important to remember that if a drunk driver kills a pregnant woman, they get charged twice. If you murder a pregnant woman, you get charged twice. So I’m not specifically criminalizing women. What I’m doing is equalizing the law,” said State Rep. Tony Tinderholt, a Republican from Arlington. The hearing in the House Judiciary Committee wrapped up at 3 a.m. Tuesday. The bill now goes before the full Texas House for debate. 0 Response to "Breaking: Lawmakers in Texas consider the death penalty for women who get an abortion"